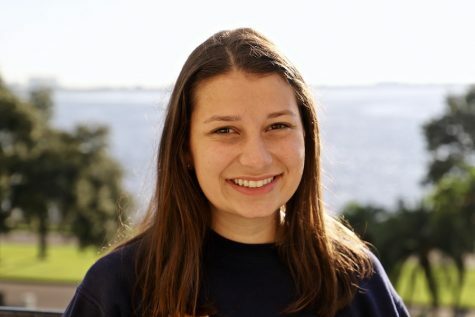 Katherine Rodriguez is a Senior Staff Writer and this is her first year in Achona. She is a Senior at Academy and spends most of her time as a part of TLC and the Tennis team. She loves to go on Instagram and the Urban Outfitters website regularly. Katherine has an older brother who is currently in college and a Havanese dog named, Coco. In her free time, she likes to watch Netflix and listen to all kinds of music. She works on the weekends at Anthony’s Coal Fired Pizza, but other than that, she can be found re-watching "The Office" and spending time with friends. She loves to go to Hyde Park and shop around, but she also enjoys going to the mall, especially Nordstrom. Some of her favorite restaurants and On Swann and Evos. She is excited but also nervous for the year ahead because of college applications and acceptances.